Helping you make your card game night better. Treat your players to our deluxe, high-performance plastic playing cards. When you get your friends together for a game of cards, you want everything to go just right. You don’t want the hassle of dealing with warped, chipped, bent or torn cards. You don’t want cards with ink that scratches off or bleeds onto the other cards in the deck. And you definitely don’t want a sudden drink spill to leave you searching for a replacement deck. 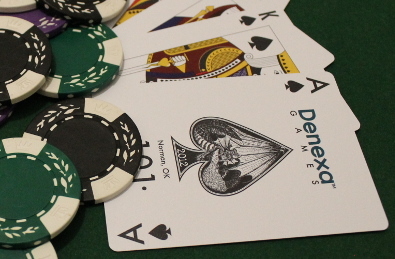 For your next game, put a deck of Denexa 100% Plastic Playing Cards on your table. These deluxe, high-performance playing cards ensure that you and your players get the best possible gaming experience. They can take whatever your game throws at them, so you can keep playing, hand after hand.